The PARC HOTEL ALVISSE**** was equipped with the latest technology in the course of a total renovation. L-INX Automation Servers, L-VIS Touch Panels and L-IP Routers of LOYTEC were installed that are now responsible, among other things, for visualization and integration of the indivudual room controllers of the hotel rooms. 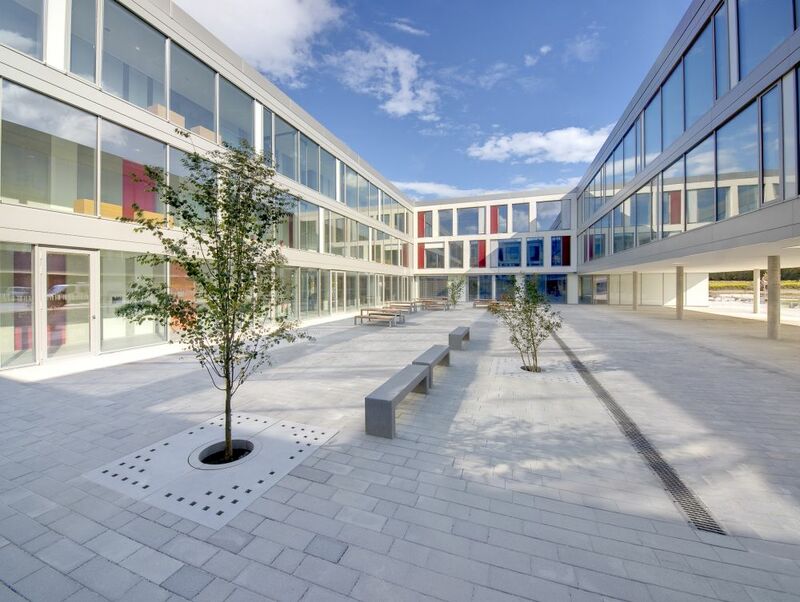 COWI is one of the largest consultant engineering companies in Denmark. 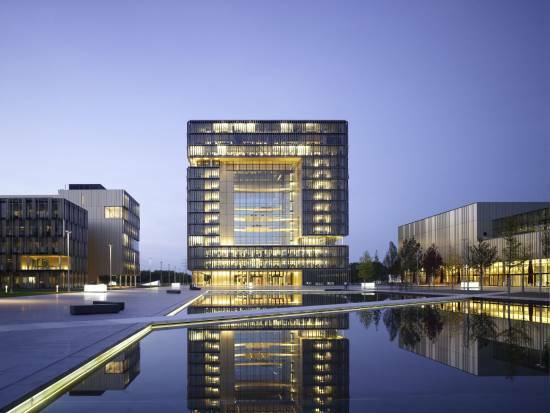 Its headquarters is situated in Kongens Lyngby just outside the center of Copenhagen. 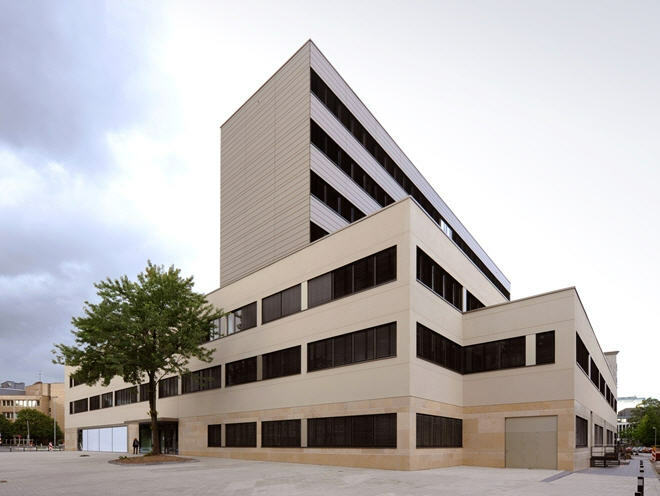 In course of a total renovation of the building it was necessary to implement a Building Management System for ventilation, heating, and lighting. “The Warehouse” in Copenhagen is a new office building for different tenants. The new building needed an appropriate automation system for automating the functions of ventilation, heating/cooling, and lighting. 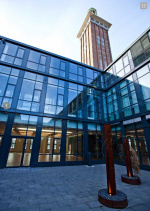 Wendelstein high school is characterized by its trend-setting energy concept, which relies on renewable energies like geothermal heat and solar energy, on corresponding construction building physics, and the required intelligent building and HVAC automation producing low energy consumption. 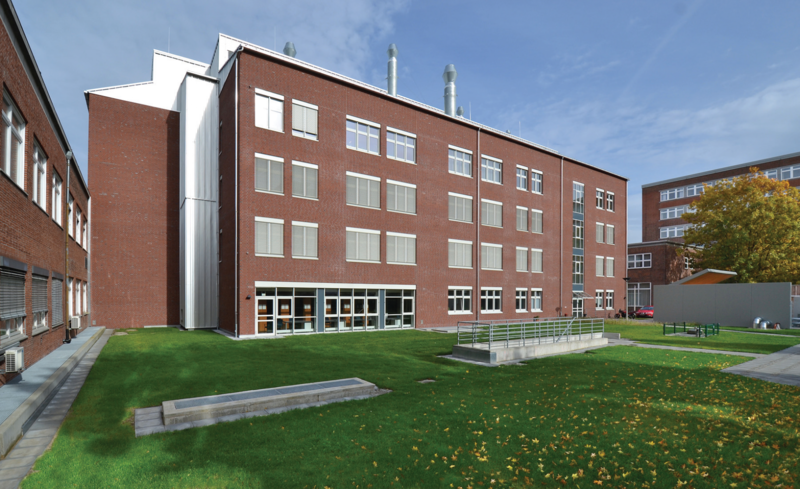 The Institute for Physical Chemistry of Christian-Albrechts University (CAU) at Kiel, Germany, was reconstructed. In particular, the installation of the ventilation system and the associated building auto­mation system was commissioned. In September 2012 the construction of the new REXHOLM distribution center and warehouse was completed. The new 15,000 square meters facility is the central point for REXHOLM’s textile business in Scandinavia. 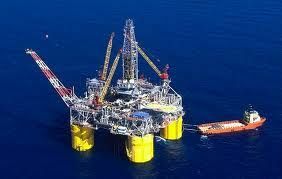 Offshore oil rigs have stringent design considerations for mechanical and control systems. Special materials and durability is a must to last in the conditions of salt air. This requires that the mechanicals have special skills. California Plaza, Walnut Creek, CA had the task of upgrading the 200,000 square foot, three level covered parking garage for their ten story Class A office. The existing system ran on a preset time schedule and did not provide condition status of the exhaust fans. 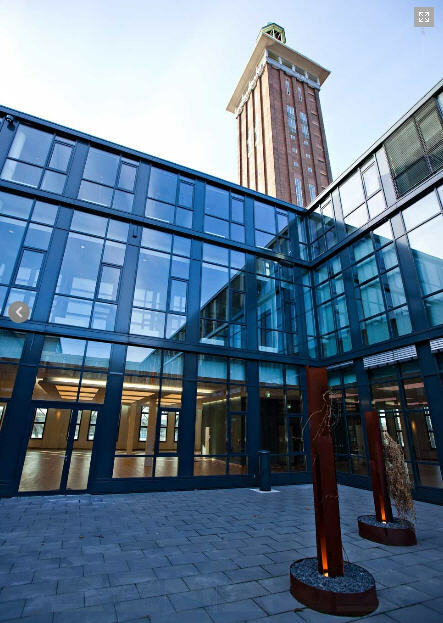 The administration building of Sparkasse Duisburg, situated at a first class location in Duisburg’s downtown, became revitalized entirely. 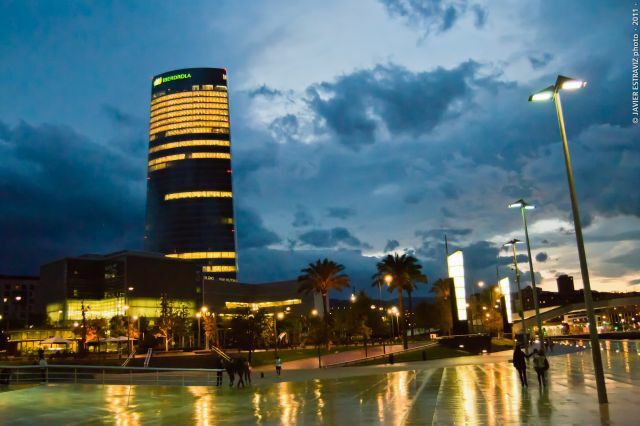 In constructional and ecological terms the building was brought to an as-good-as-new-level. 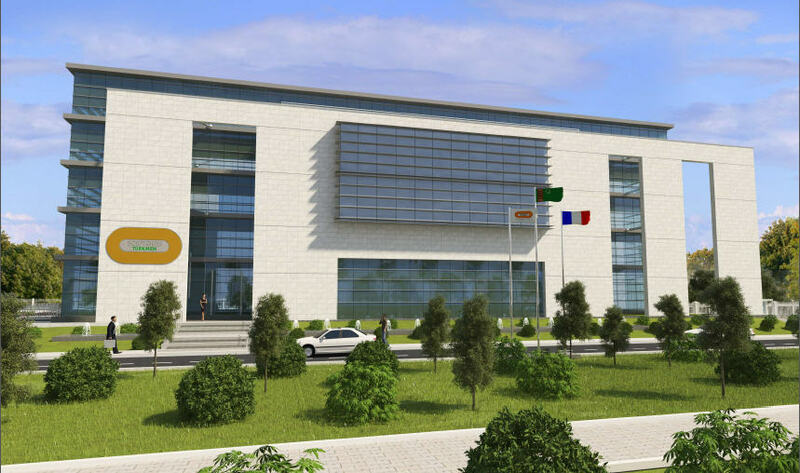 Bouygues’ new headquarters building is the first Green Building all over Turkmenistan. Based in the capital Ashgabat, Bouygues Turkmen (BTK) is a subsidiary of Bouygues Construction, a French construction company. 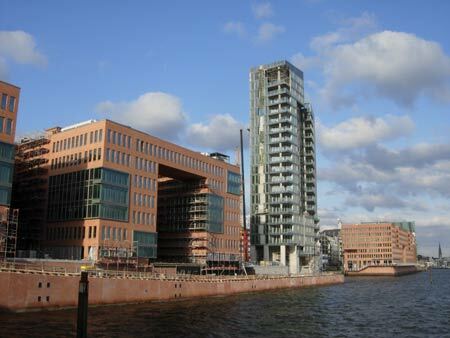 Located between the traditional Hamburg fish market and the ferry terminals, “Holzhafen Hamburg” is one of the top addresses on the river Elbe. This is the location of the office building “Holzhafen West”, whose style is inspired by typical Hamburg storage buildings. 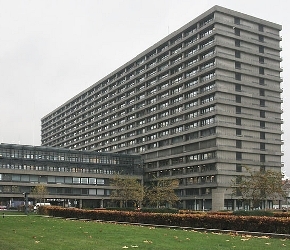 With more than 1.100 beds, Rigshospitalet is the largest hospital in Denmark and has responsibility for 65.000 yearly inpatients and approximately 420.000 ambulant visits annually.It is by far the most specialized hospital in Denmark with more than 8.000 employees. It was Europe’s biggest house moving when ThyssenKrupp relocated its headquarters to Essen (Germany) last summer. 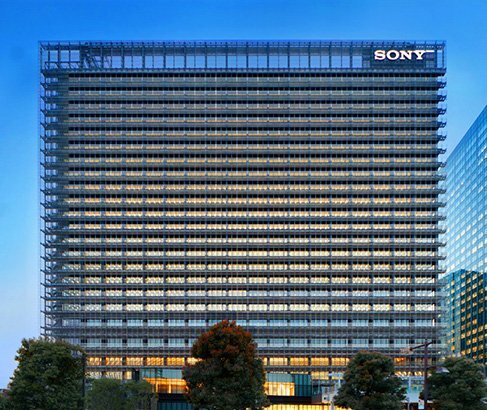 Dominant centre of the new headoffice is the Q1 building, forming an impressive landmark in its distinctive shape of a cube. All the buildings on the campus are based on an overriding design framework, the shell-core principle. 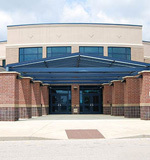 The Decatur Intermediate Learning Center and local district Sports Center, located in the Decatur Township, Indiana USA, faced a situation common to many modern schools with a building having multiple use requirements throughout the week for regular and extracurricular activities. To maximize energy savings on equipment usage the ability to schedule occupancy properly has become a must. 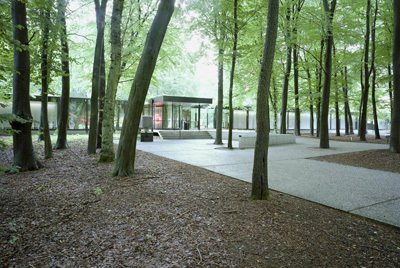 One of the most attractive museums in the Netherlands is the Kröller-Müller Museum near Otterlo. Situated in the center of the De Hoge Veluwe National Park, it exhibits the world’s second largest collection of Van Gogh paintings. R+V insurance is one of the largest insurance groups in Germany. 2010, at the companies site in Wiesbaden (Germany) the room automation of the representation floor and the company canteen as well as the control technology for central ventilation and refrigerating systems were renewed. Being a subsidiary of RWE AG, RWE Supply & Trading GmbH is one of the leading companies in European energy trading. RWE Supply & Trading takes the responsibility of a gas procurement volume of nearly 50 billion cubic metres per year and is responsible for all of RWE’s activities on the international procurement and wholesale markets for energy. The Parkway Atrium Building is a 23 year old four story 184,000 sqft Class B office building located in the suburbs of Washington DC. 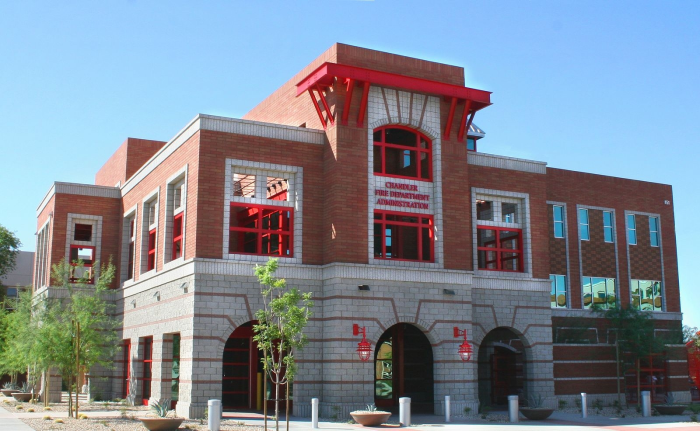 The building was constructed as a spec building and has been through numerous small changes and a major renovation in 2004. 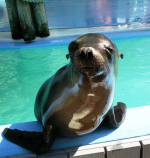 In 2006 a new management of the building began to identify and implement energy conservation methods. It is the most spectacular stadium in the world, an architecturally-significant and technologically advanced sports venue. The 3 million-square-foot stadium has an approximate capacity of up to 100,000 fans. As the largest NFL venue ever built, the new stadium boasts the most spectacular column-free room in the world, stretching a quarter-mile in length. The Governor Nelson A. Rockefeller Empire State Plaza (commonly known as the Empire State Plaza or less formal as The South Mall) is a complex of several state buildings in downtown Albany, New York State.